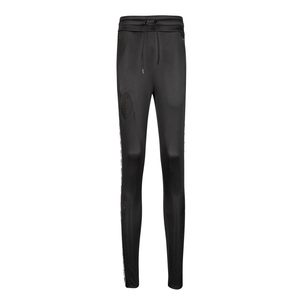 Ideal for casual wear off the field as well as for the gym and practice pitch, show off your rugby style with the Rugby Division Cannes Rugby Training Jog Pants in Dark Navy Blue. 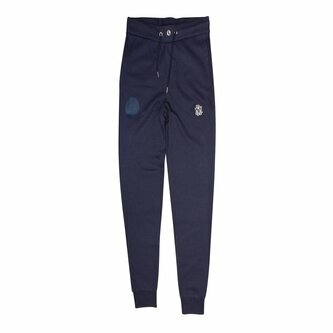 These men's jogging bottoms from French rugby inspired fashion brand, Rugby Division, is button fastened at the waist and includes drawstrings for a custom fit. Printed on one leg is a rubber "Maison Rugby" badge whilst embroidered on the other is another Maison Rugby emblem. 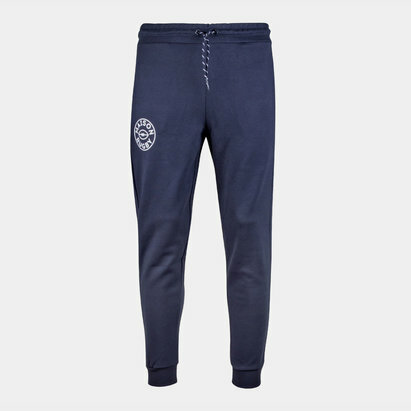 Made from a soft and thick cotton and polyester material with a fleecy interior for warmth and comfort, pockets at both sides and at the back of these Rugby Division sweat pants allows the wearer to hold onto their essentials as they train or relax. Cuffs at the hem help keep the legs out of the way of trainers when in action. 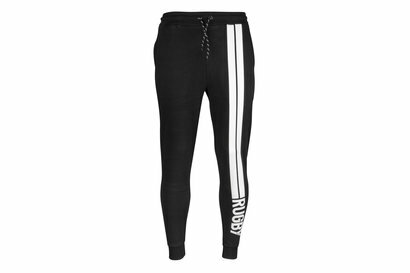 Perfect for relaxing in when not in action out on the pitch, bring low key rugby style to your wardrobe with the Rugby Division Cannes Rugby Training Jog Pants.